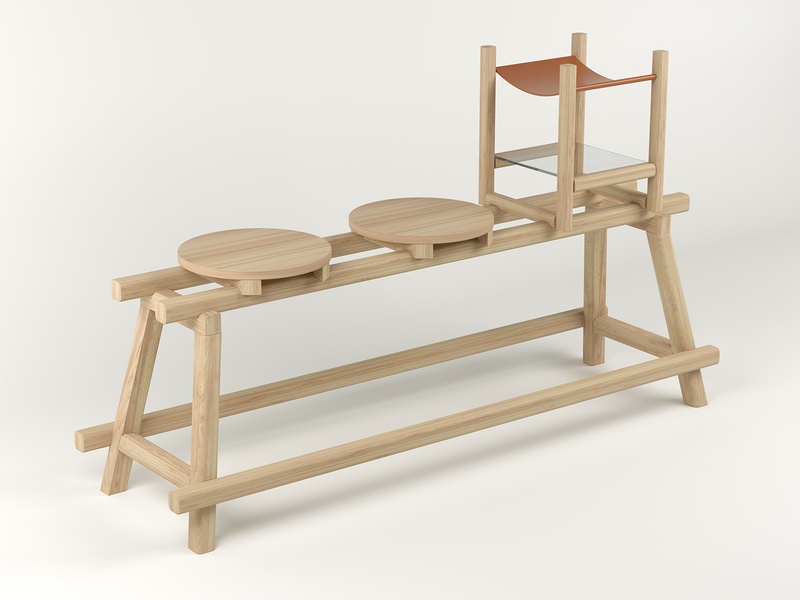 50-50 is a modular bench composed of a storage unit and two seats. 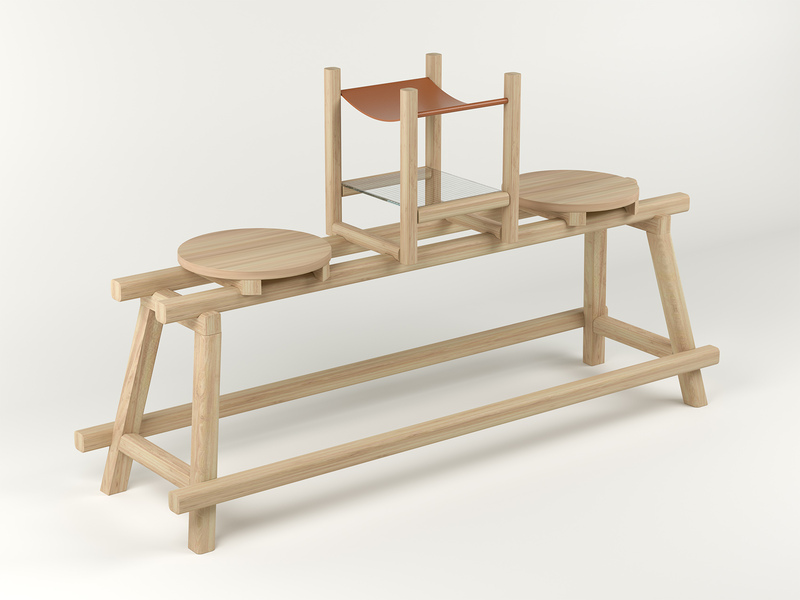 The modules slide and move on the bench thanks to a interlocking system. The desire is to have a very open aesthetic that aims to highlight the structure and assemblies.